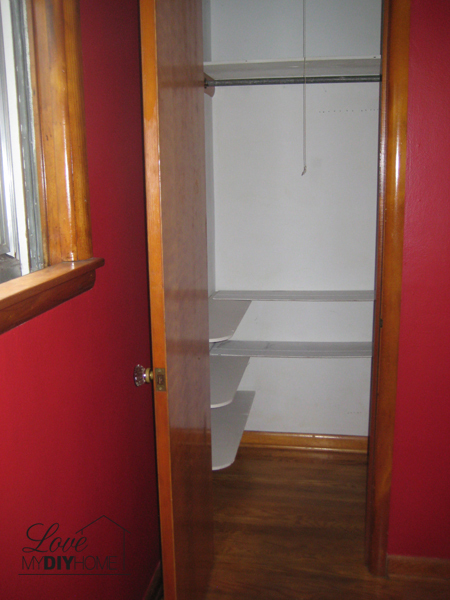 You might even find yourself rocking in the corner mumbling to yourself. 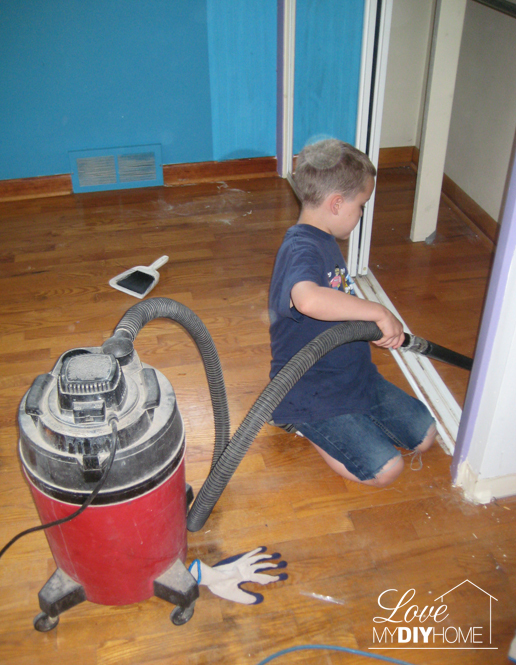 But then you see a bit of progress, the muck lessens, the dirty nasty carpet gets torn up, the holes get filled, the primer goes on and then bingo … hope flies in and you are instantly encouraged, knowing you can come back again tomorrow. 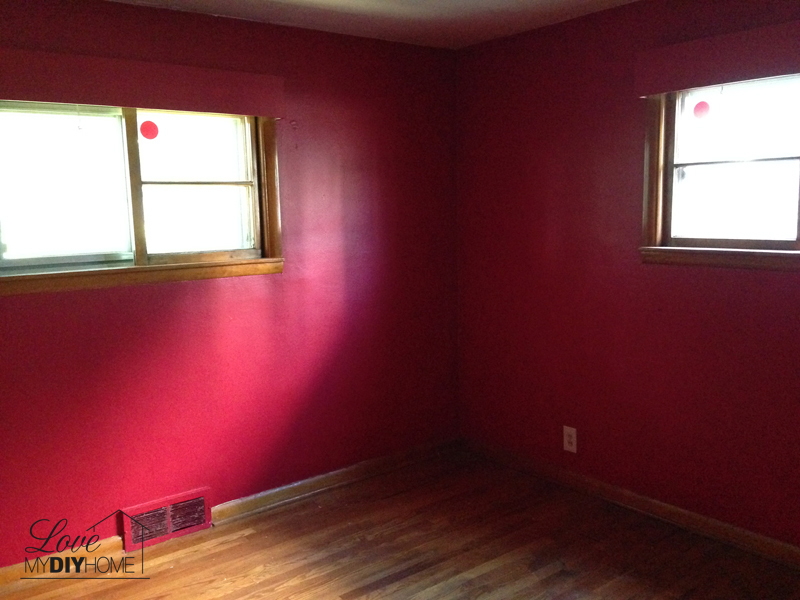 Here are the before pics of the bedrooms and the progress toward newly painted and walls. 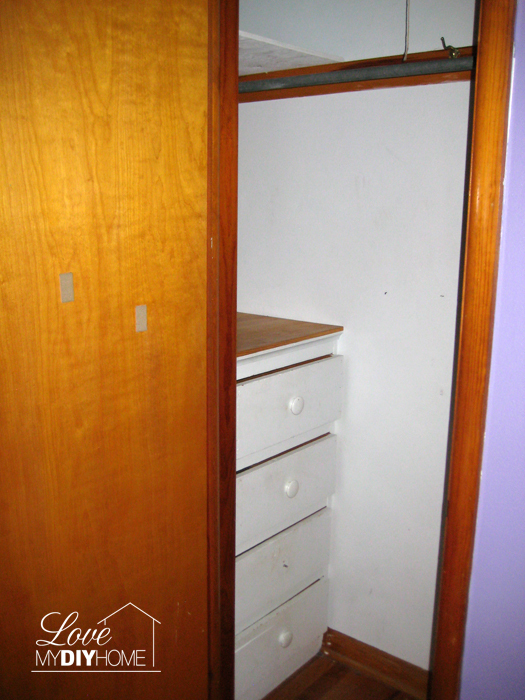 From garish to classic. Childish to grown-up. 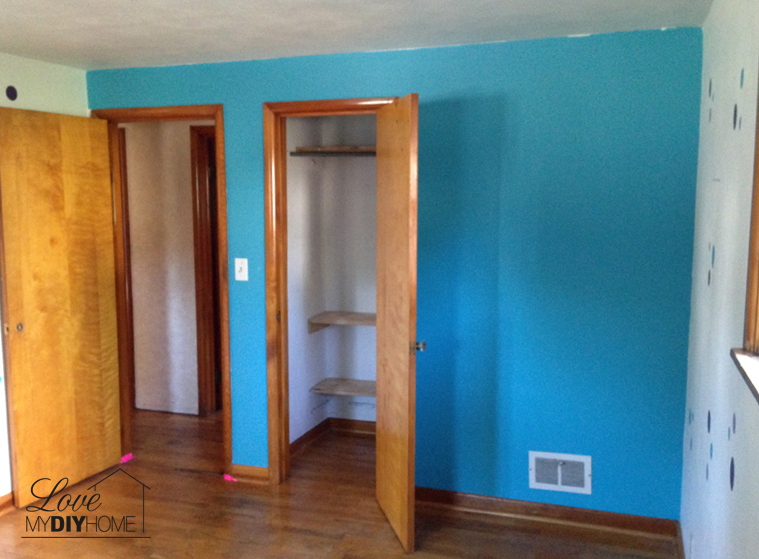 This room will belong to Myles, their 2 1/2 year old. 2. 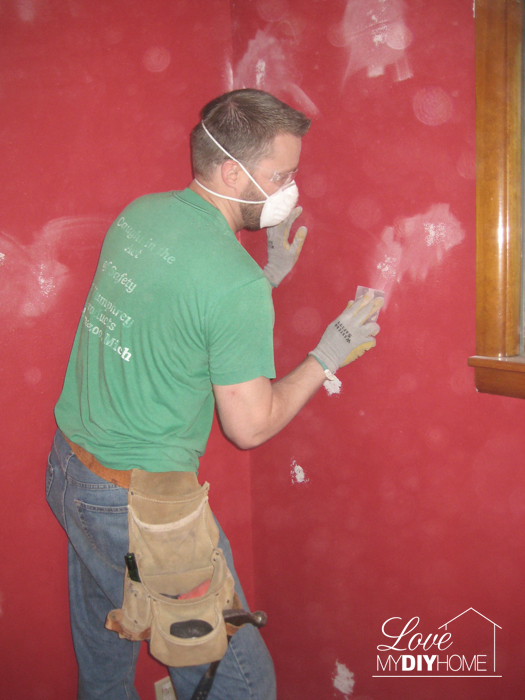 Grab your handy little Wall Scraper and scrape the area where there are holes that need to be patched first to smooth it out (I prefer the metal type). 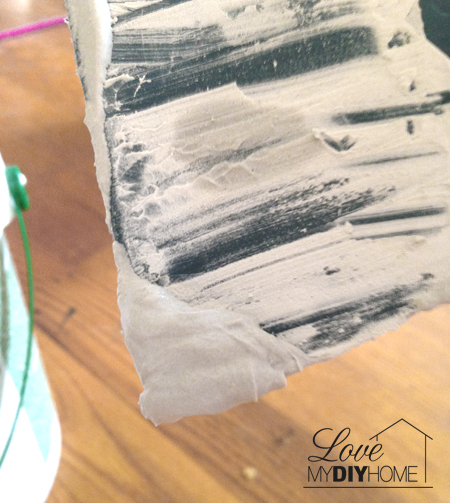 Run your hand over the area before filling it in to make sure it’s fairly smooth (no bumpy paint chunks). 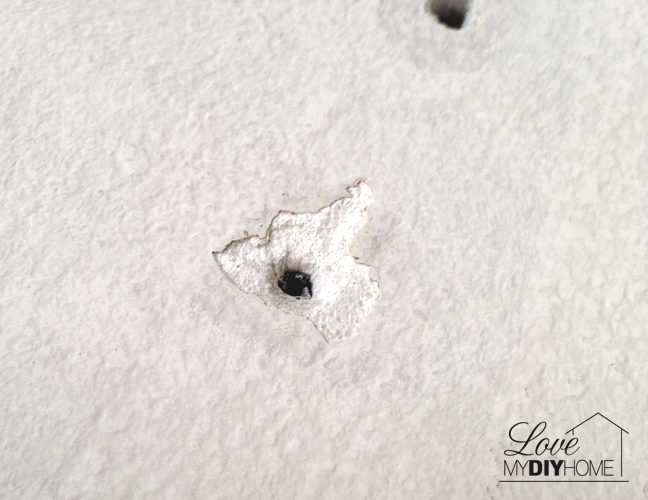 To mud (fill in) all the holes and gouges use drywall mud (joint compound). 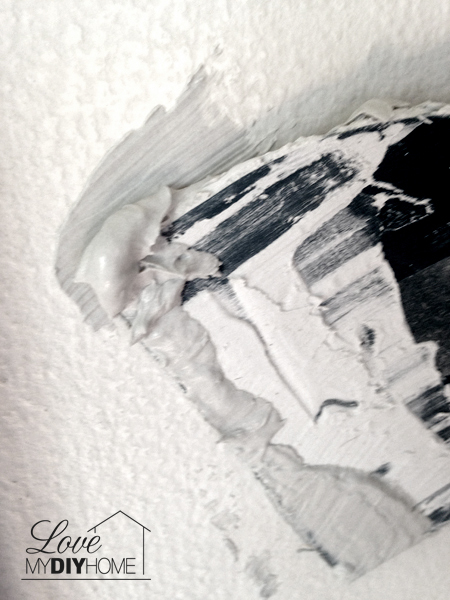 We used Sheetrock Lightweight All Purpose Joint Compound Ready Mixed to fill in the holes. 3. Grab a bit of mud with the corner of your scraper. 4. 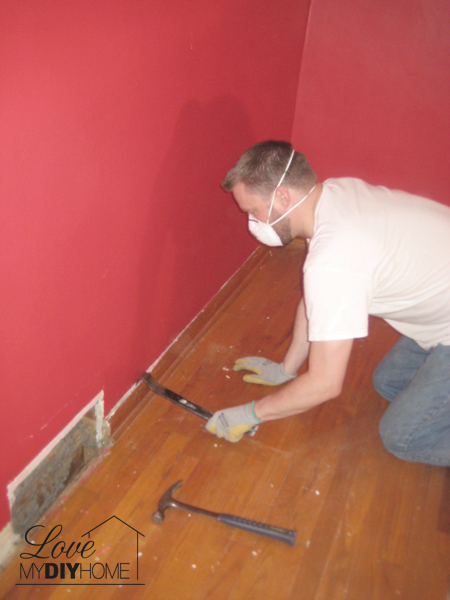 Dab it over the hole to fill it in and smooth it out with the full edge of the scraper to level out the wall. Your goal is to fill in the hole but not leave a lot of mud on the wall. It’s a bit tricky at first, but soon you’ll get the hang of it. 5. 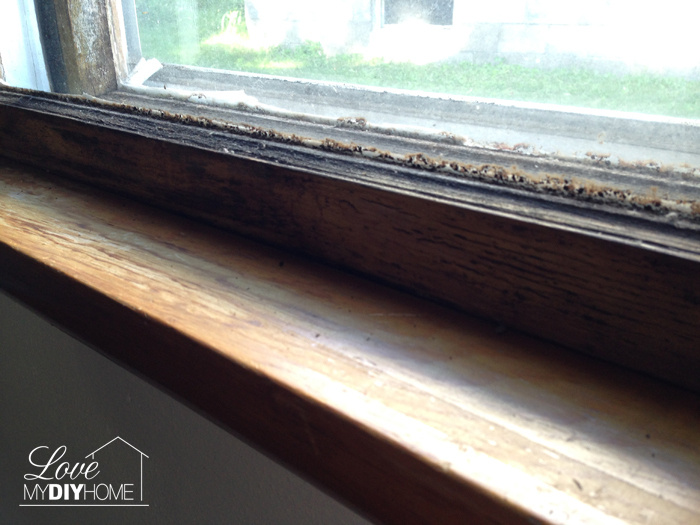 Once you’re happy with how the holes are filled in, run your scraper back and forth over the area to thin out the mud that’s on the wall before it dries, but not so much that you are taking mud out of the patched holes. 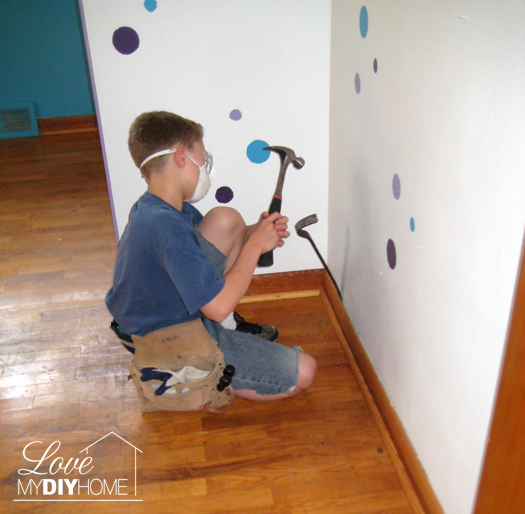 This will minimize how much sanding you have to do once it dries and you need to prep the wall for primer. 6. Leave it and let it dry. You might have to repeat the process a couple of times depending on how big the hole is and how much the mud shrinks as it dries. 7. 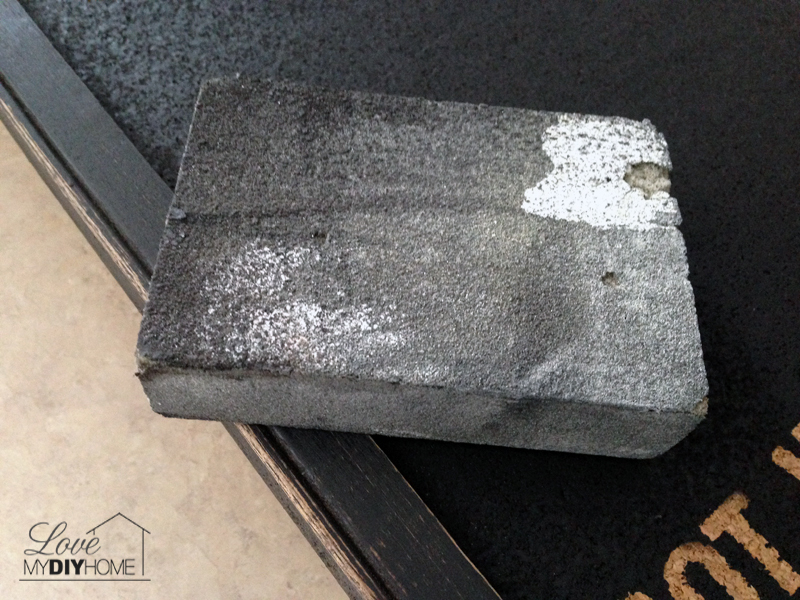 If you’ve done a good job of filling the hole but not leaving much mud on the wall, you can use a wet sponge to wipe down the area to remove the excess. 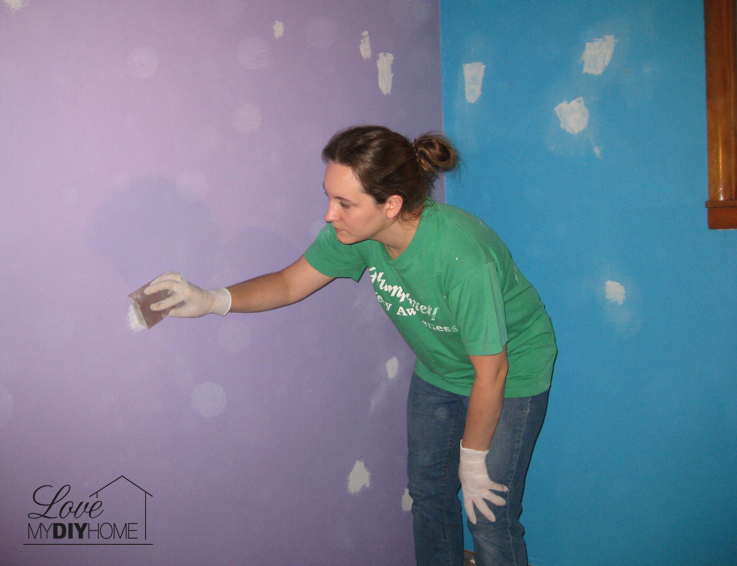 If there is a bit of mud still on the wall, use your sanding sponge and sand the area until it is smooth and flat blending in with the rest of the wall. 8. 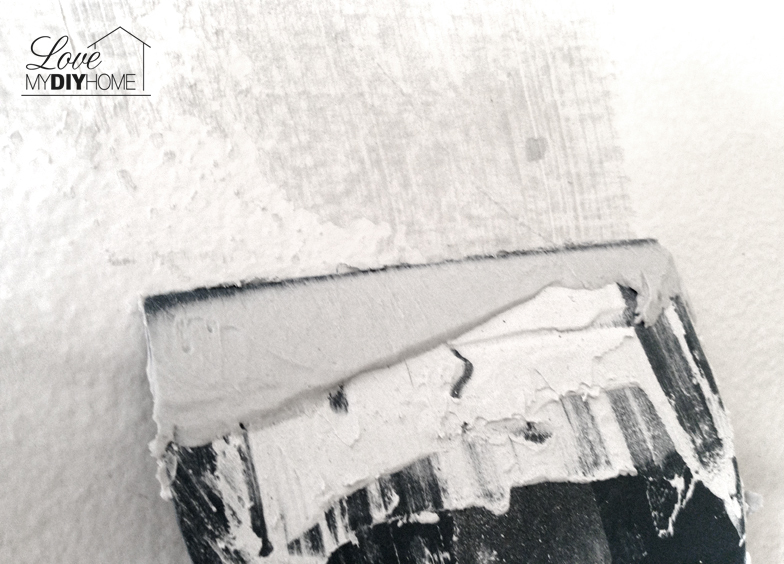 Always apply primer on the mudded area after it dries, to ready it for your interior wall paint. 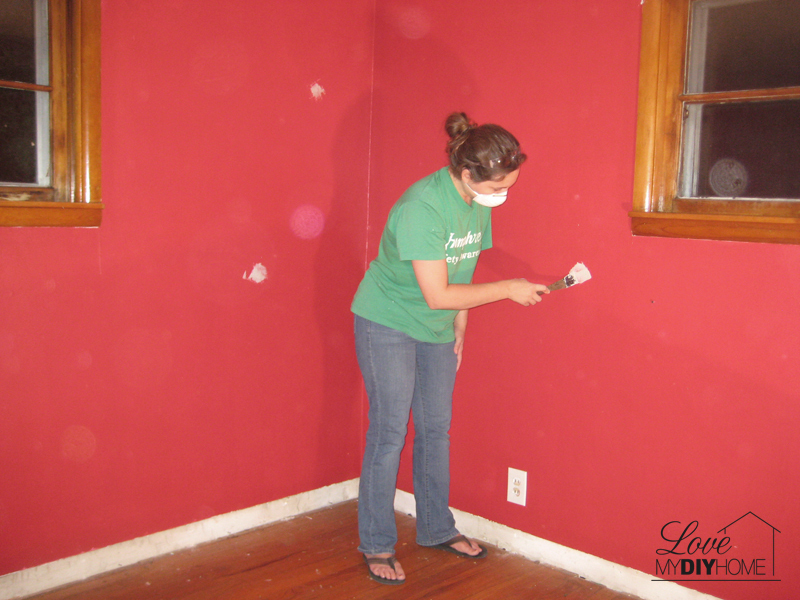 If the paint you are covering is dark or bright, primer the walls first. 9. 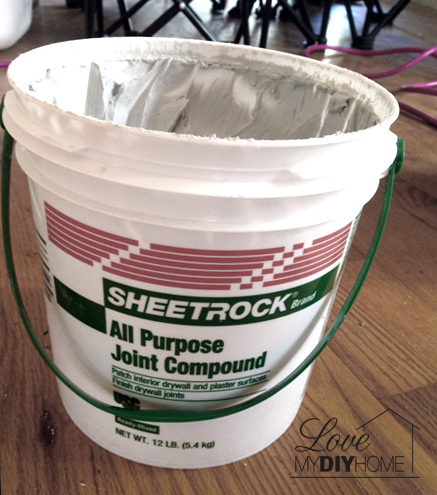 If after you primer it you see ridges or bumps, just sand it and primer it again. When it dries, you are ready to paint. 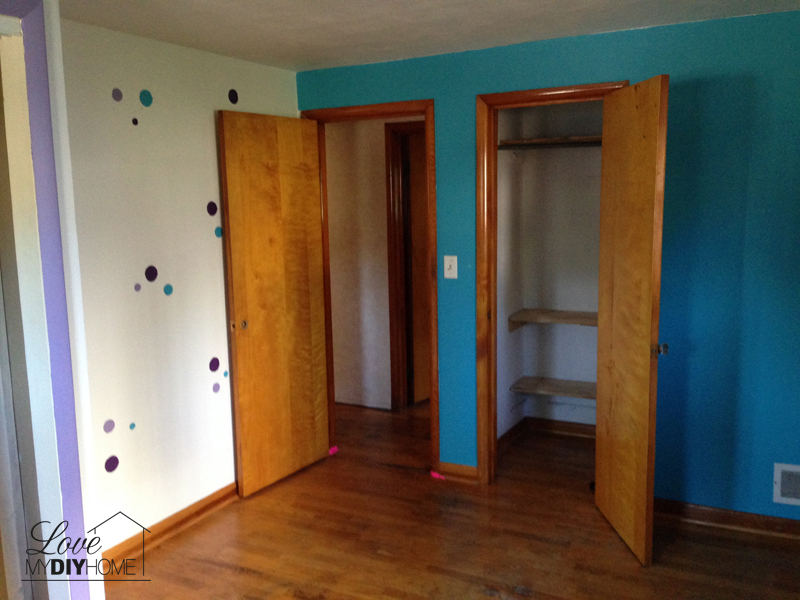 Here are some “before” and “during the prep” pictures of their three bedrooms. 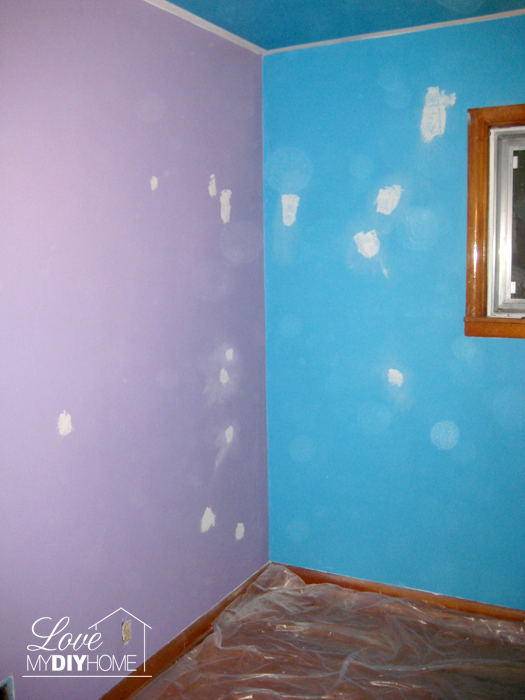 Next week I will show you the “before and after painting” pictures. Put the kids to work helping in the prep work. 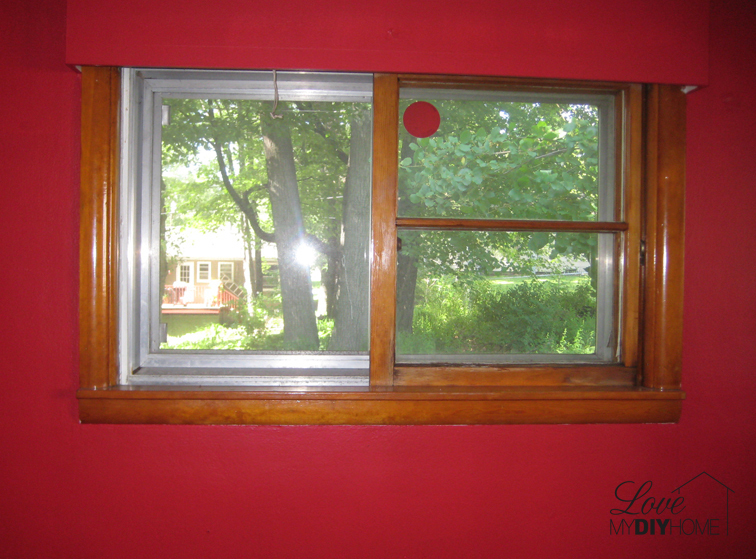 You can choose to remove all the trim work before painting – it makes painting much easier. 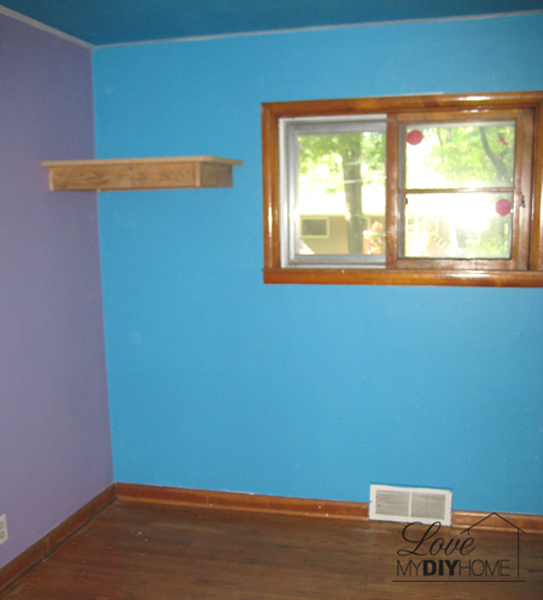 The Joneses are going to repace all the woodwork anyway, so they did remove it. In our house, we didn’t remove it, just painted around it. 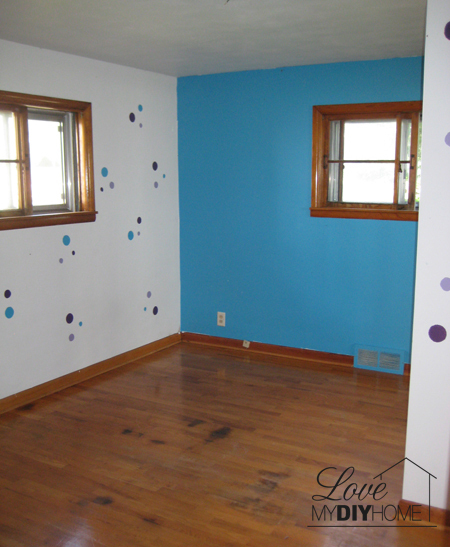 We sanded and then primed all the goofy little dots before priming the entire wall. Those buggers were so dark we had to prime them several times. 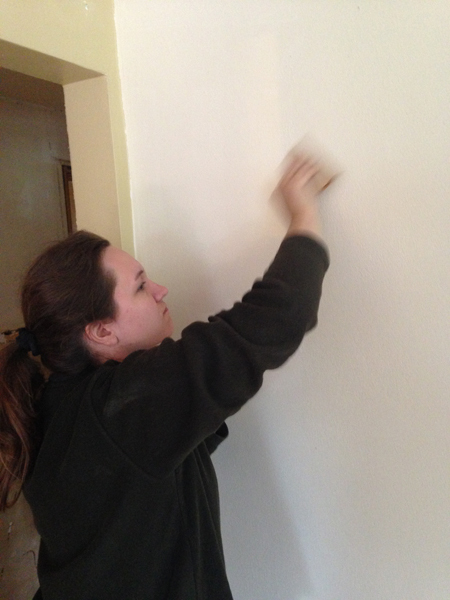 It would have been easier to just use KILZ Primer on them but we didn’t have any on hand at the time. 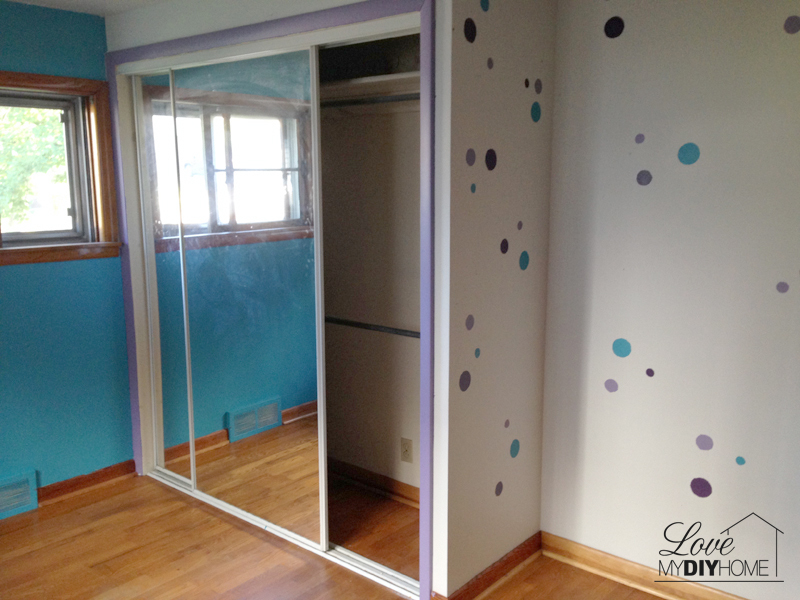 This will be Isaac and Hudson’s room. 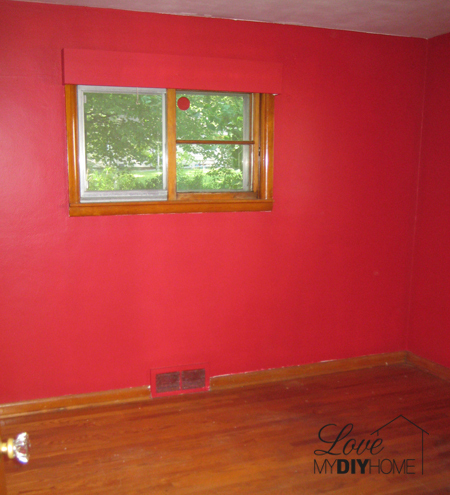 Stay tuned as we get the rooms ready for our “before and after pictures.” Do you have any paint tips or suggestions for the Jones family? 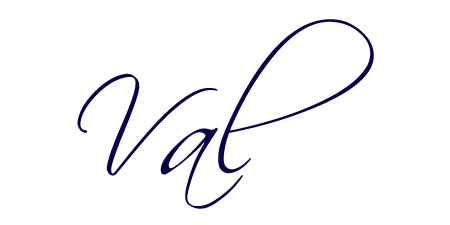 Please leave a comment and tell us about it! We love to hear what you have to say. 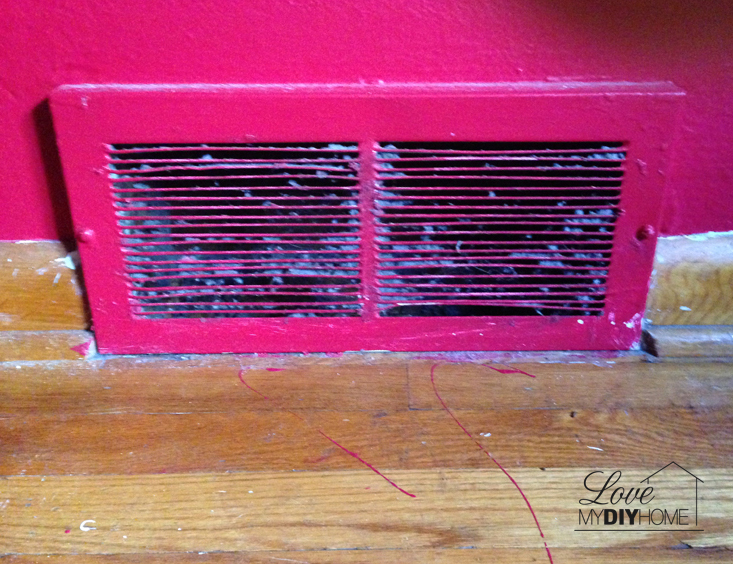 Keeping Up With the Joneses – Three Dozen Mice and MOLD!